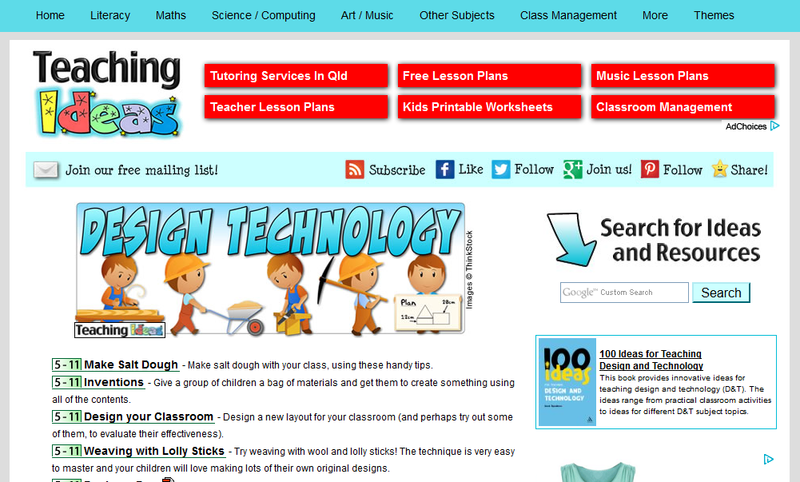 Teaching Ideas: Design Technology is a great start for rural and remote teachers to get started with some technology design ideas for the classroom. The site does provide some design brief ideas but also looks at other aspects of technology, such as use of tools. The site provides lots of resources that could be directly linked the following concept descriptor from the draft Technology Curriculum of the Australian Curriculum. The concepts of design contained in this strand are echoed throughout many areas of the curriculum. Check out the site here!